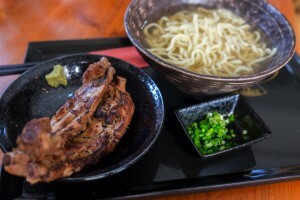 If you are traveling to Okinawa, you would probably like to have something local. Something unique. You must have different priorities and perspectives than us locals. Okinawa has been the world’s top longevity region. Even though it’s changing a bit in the modern society now, there are still many elements of traditional longevity diet in everyday life, and, whether knowing or not knowing it, people and restaurants are under the influence of this unique culture. There are 2 factors which Okinawa has adopted and which I like to rule out from my recommendations. One is tourism. Like anywhere in the world, when restaurants push too hard their local foods toward tourism, they lose certain authentic qualities. The other is the mass-production culture. Okinawa was the first region in Japan that have been exposed to mass-production culture from US as it has been accommodating US troops since the war. Way before McDonald has the first shop in Ginza in 1971, there was A&W in Okinawa already. And in post-war economic growth period, Japan has accelerated mass-production culture as well. Fast foods. Convenient stores. Chain restaurants. And all the chemicals for foods. Anyway, I believe it stands as a fact that mass-production destroys local cultures. And I like restaurants which try not to use those chemicals as much as possible. On the other side of the coin is a fact that there are so many restaurants which ignorantly use those chemicals in their foods. when you come to Okinawa and try to find something local in the street, it’s very likely that you hit those 2 cons. The more conscious you are about what you eat, the more disappointing you are like to get. It’s pretty hard to avoid those 2 factors. So I suggest you open your perspectives. When you try to find authentic local cooking with local products, you will hit those walls. But if you try to find conscious restaurants in Okinawa that use local products, you will have a way around it. 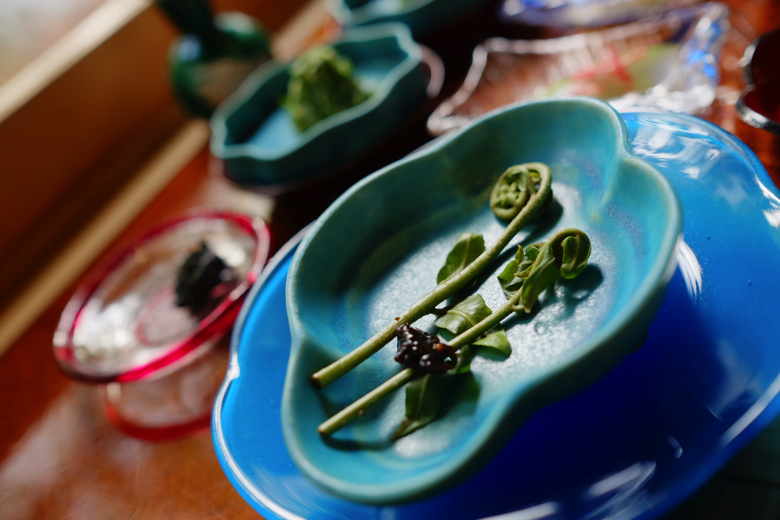 There is a growing number of small cafes and restaurants in Okinawa, run by young creative people, specializing in what they do best, and hand-making from local products. It can be bakery, italian, mexican or some kind of creative foods. As long as they are cooking from local products, you can say it’s worth a try for the memory of your trip to this island, wouldn’t it? At least, that is the idea behind my selection on this blog. And here is my 10 strong recommendations for you visitors. If they don’t have English menu and you don’t know how to order, just bring your smartphone or tablet, show them my blog and point to pictures to order them! This is not just a healthy meal. 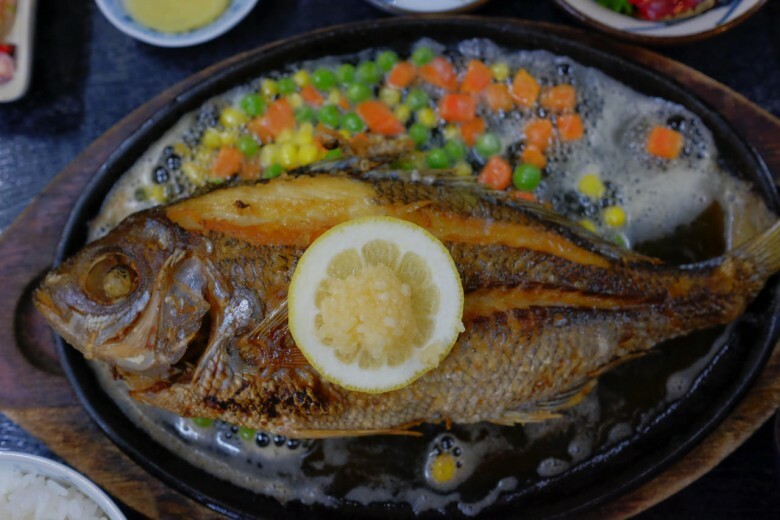 The owner chef has studied Okinawa traditional cuisine, which believes “Food is medicine” as in the concept of Chinese traditional medicine. The lunch in this place is like a good therapeutic session. Get filled in your stomach, your heart, and your spirit. Okinawa Dai-ichi Hotel is a small hotel run by a local family in Naha. Only open for breakfast. Featuring local veggies with medicine properties that have supported the longevity. Reservation required. Starting either at 8:00, 9:00 or 10:00, 3 groups each only. Local fish, meat, and vegetables, you name it. 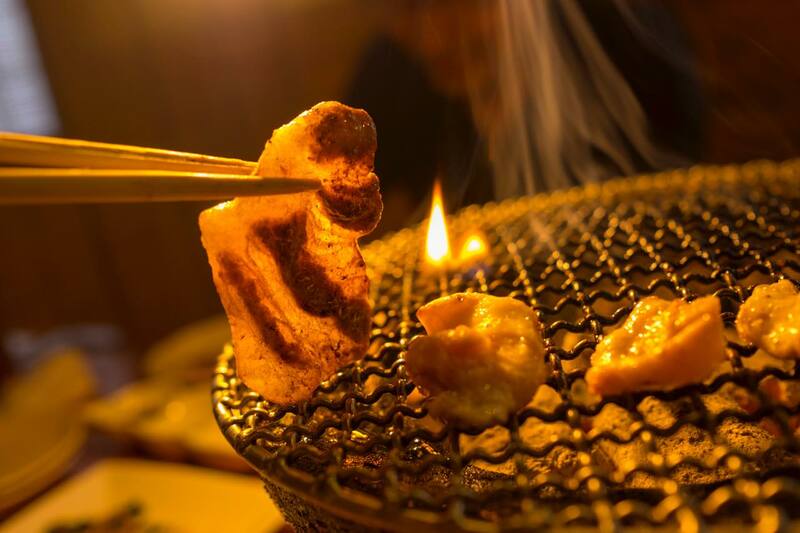 Sakae has it all, and all good, cooked in their own way by innovative owner chef who has trained in traditional Japanese cuisine. Every dish comes on a nice local poetry. Great selection of local liquors too. When it comes to meat in Okinawa, it’s got to be pork. Manmi is grill-your-own style restaurant that specializes in pork, run by a local butcher. They know everything about pork and they feed you everything from pork. Carefully prepared pork offal can knock you off. 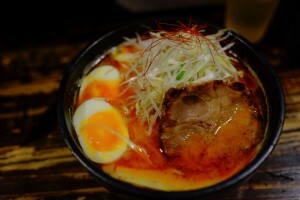 Japanese Ramen noodles are now so famous around the world. Hachi Ren is my most favorite ramen of all. 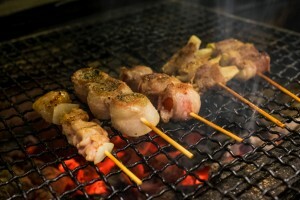 Tokotsu (Pork base creamy soup) is extracted by boiling local pork for hours everyday. Try signature ramen or spicy shrimp ramen (it’s not so hot). They have to move out the place in Feb 2017. Stay tuned for their new place. 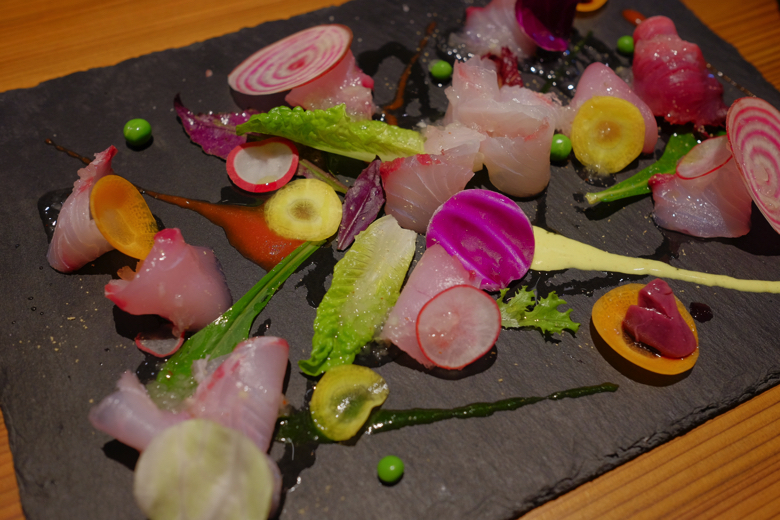 The owner chef Nasu is one of the most skilled French chefs on the island. His son, the sous chef, has more Italian influence. They both have such deep love toward food and they play with it. They handmake most of their foods in the house, like bacons and jamon serrano with local pork, and sauce and jam with local fruits. The good old Okinawa seafood is here. It’s a restaurant by a local fish supplier. All the fish comes straight from the market, guaranteed fresh. The cooking style is very local and has been loved by the locals. 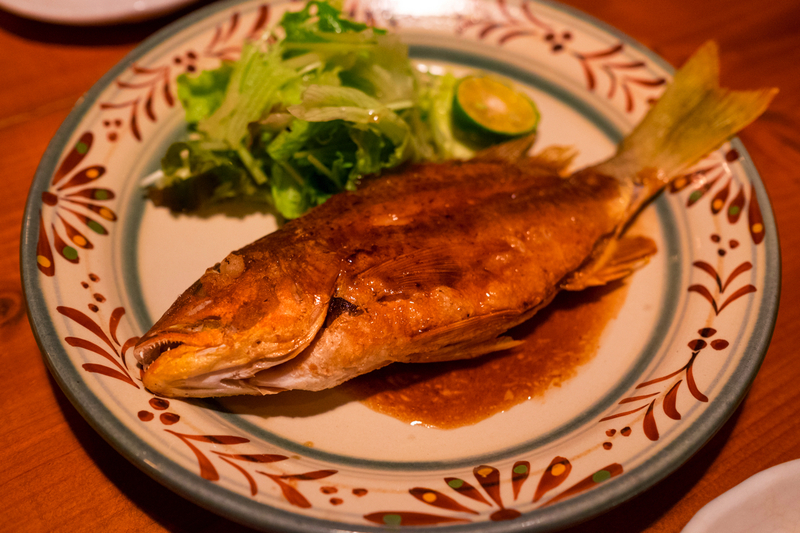 The butter-fried fish is a classic. Okinawa soba is different from Japanese soba. It’s wheat noodles in combo soup of pork base and fish base. Matsuya is not really a conservative one. The clear soup is made of several different fish and other selected ingredients by the owner chef. Roasted spare ribs are excellent. A very popular dining cafe, run by a lady from Kyoto. 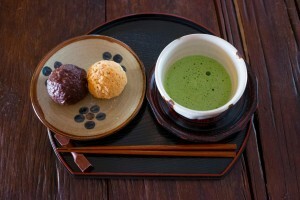 Udon, rice bowl, and sweets are made with carefully selected ingredients from Kyoto and Okinawa. Curry Udon is gorgeous. Drip in for shaved ice in a hot summer day. But packed in weekends. Avoid lunchtime (12:00 – 13:00) on weekdays too. Nested in middle of the sugar cane fields, Tenpusu is a treasure of Ginoza village. Fresh seasonal local foods are here to stay. 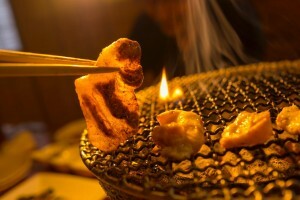 Bincho-Tan, the best crispy charcoal in the nation, makes perfect grills for local pork and chicken. 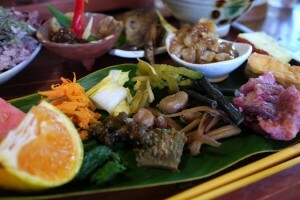 Local common dishes like Tofu Chanpuru are also available with a little original touch of the owner chef. This will be the 11th entry but I need to put this one in. Grandma’s recipe for Japanese signature sweets, Anko (sweet red beans). These sweet rice balls are called Ohagi. Perfection light grip like a Nigiri sushi and it falls apart in your mouth. It goes so well with bitter Macha. Shabu Shabu agoo pork dinner is available upon reservation. This agoo is raised in open range and the quality is top-notch.